Living Where Land Meets Sea includes 35 homes, resort projects, informative text and interpretive poetry. Living Where Land Meets Sea, the latest book on the work of Polhemus Savery DaSilva Architects Builders, was released in August 2016 by Images Publishing. The 376-page book features an introduction by John Wriedt, editor of Architecture from the Inside Out, text by PSD’s Design Principal, John R. DaSilva, interpretive poetry by GennaRose Nethercott, and principal photography by Brian Vanden Brink. Nethercott, a poet, performer, and folklorist originally from Vermont, who has studied at Hampshire College and The University of Edinburgh, has been widely published and has traveled with her work to schools, theaters, and other venues throughout the U.S. and Europe. Nethercott, a full-time poet and the winner of numerous writing awards, says, “PSD’s work has a certain poetry about it, so working with them on this book was a natural collaboration for me, and an exciting one.” DaSilva agrees that having Nethercott’s poetry in the book is a perfect complement to the poetic architecture his firm creates. Nethercott continues to write poems for and about the firm including several specific to clients' homes. With stunning photographs and informative text, the book illustrates the care and attention PSD takes to create homes and resorts that seamlessly blend the past with the way we live now. Joining PSD’s previous books, Shingled Houses in the Summer Sun (2008) and Architecture of the Cape Cod Summer (2011), Living Where Land Meets Sea is more than just a coffee table book, it’s a discussion of the way one special and highly successful group of creators works with the ocean to design and build in ways that complement its brilliance. 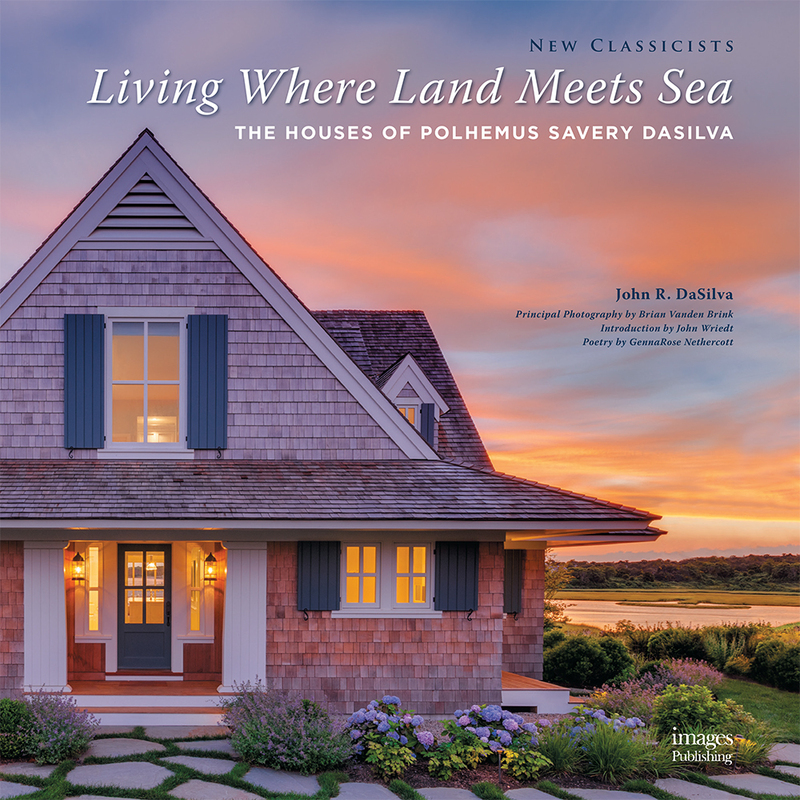 Living Where Land Meets Sea: The Houses of Polhemus Savery DaSilva is available online and at specialty bookstores.